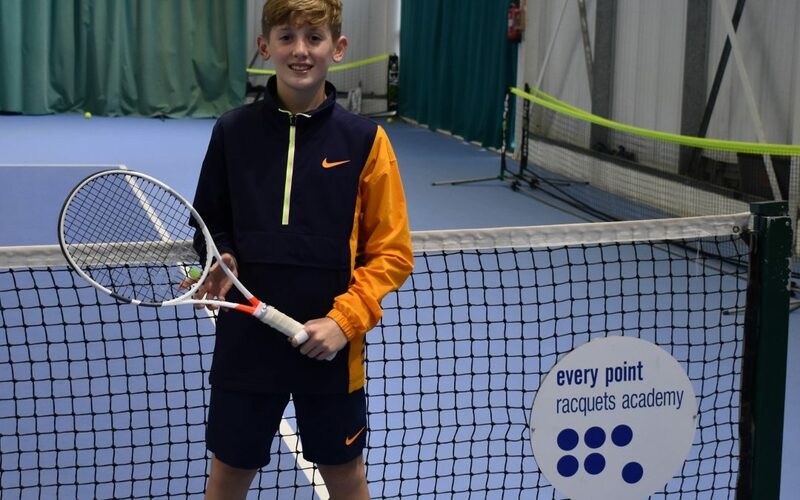 An aspiring tennis player from Wolverhampton is stepping up his dream to make a career in the sport after landing a prestigious scholarship at one of Europe’s top academies. Henry Searle, aged 12, will start 2019 by heading over to the Mouratoglou Tennis Academy in France, run by the world-renowned Patrick Mouratoglou who is currently coaching legend Serena Williams. Up until now Henry has divided his time with tennis, strength and conditioning and physio work at WLTSC, with time at the LTA’s Nottingham Tennis Centre, but he will shortly be heading to Nice to take the next step on the ladder. “I had been over to the Academy last summer with the Great Britain team, and was invited back where they took a look at me and I spent some time talking to Patrick,” says Henry. “It is very exciting to have been offered a place, and I will be able to play more international tournaments and also play on clay a lot more which will help with my development. “Moving away from home is not a problem – I will miss people and miss the club – but I want to be as good as I can and this is a great opportunity for me. Henry’s mum Emma has re-iterated that appreciation after Henry, who started at the club’s Tots Tennis programme at the age of two, benefitted from a specially tailored programme put together by coach Nick Morris but featuring many other coaches including Paul Hodgetts and Amber Quick, physiotherapist Patrick Hyde and Strength & Conditioning Coach Billy Hughes. “Everyone at the club pulled together to get a great team behind Henry – they have gone the extra mile and we couldn’t have asked for any more,” says Emma. 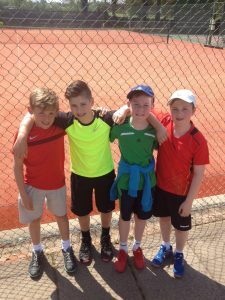 Henry’s exciting progress through junior tennis saw him finish runner-up in the Auray Super 12 tournament once won by Andy Murray and Rafael Nadal, and also runner-up in last year’s National Championships. 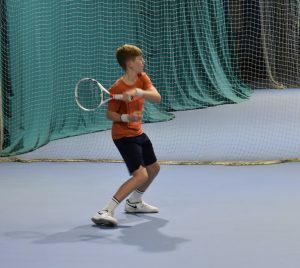 Although moving away to France, he remains under selection as one of the LTA’s national age group players which will see him continue to represent his country in competition. 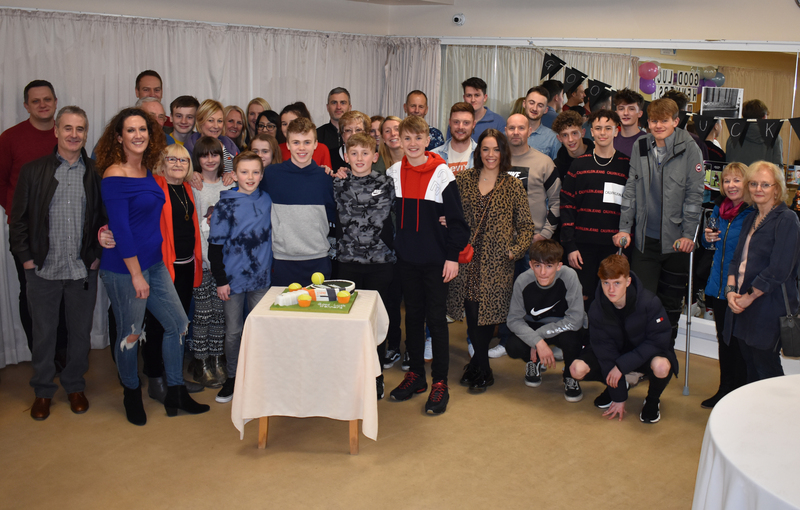 “Everyone here at the club has played their part in providing a supportive environment for Henry to show all his talent, athleticism and determination,” added WLTSC Operations Manager Marc Hughes. Henry leaves for France later this month, and a celebration and good luck party was staged at WLTSC at the start of the year.